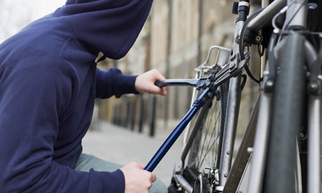 Property crimes – including Theft – are some of the most highly litigated charges in our courts today. Similar property crimes include Shoplifting, Larceny, Burglary, and Robbery. If you are accused of a Theft crime, regardless of the value of the item or service involved, you must discuss your legal options with attorney Alexander Ransom as soon as possible. Whether the charges stem from misunderstanding or a lapse in judgment, your future is at stake. In Washington, Theft is considered a crime of dishonesty. As a result, potential employers are unlikely to hire defendants who are convicted of theft crimes. Additionally, your credibility can be questioned if you testify in any future court proceedings. Fortunately, attorney Alexander Ransom is very experienced at litigating the procedural and substantive defenses for Theft charges. For example, it is a sufficient defense that the property or service was appropriated openly and avowedly under a claim of title made in good faith, even though the claim was later found untenable (untrue). Other defenses include accident, lack of intent, voluntary intoxication, lack of evidence, diminished capacity, mutual combat, etc. Alexander thoroughly investigates cases and contacts witnesses to get their version of events. In other cases, Alexander has gone to jury trial and/or received favorable outcomes in the form of dismissals. Please review Alexander’s “Not Guilty” verdicts and Dismissals involving Theft charges. Theft in the First Degree RCW 9A.56.030 Class B Felony punishable up to 10 years prison and a $20,000.00 fine. Theft in the Second Degree RCW 9A.56.040 Class C Felony punishable up to 5 years prison and a $10,000.00 fine. Theft in the Third Degree RCW 9A.56.050 Gross Misdemeanor punishable up to 1 year jail and a $5,000.00 fine. If you or someone you care about faces Theft charges in Skagit County or Whatcom County, call attorney Alexander Ransom today for a free, no-pressure case evaluation. Alexander has a reputation in the legal community as an aggressive, effective and experienced criminal defense attorney. He is here to assist you through these difficult times.